The EPFL (Swiss Federal Institute for Technology) is one of the best engineering school in the world. In the last 10 years, I’ve been seing the massive change happening on the entrepreneurial/startup ecosystem there. The EPFL Innovation Park (initially known as the Parc Scientifique, rebranded back in 2010 or so) has expanded massively, from 3 buildings to 10… The entrepreneurial and events activity has also increased massively. For me, EPFL Innovation Park is the uncontested heart of the tech startup scene in Western Switzerland (even if there are plenty other technology parks doing a great job). 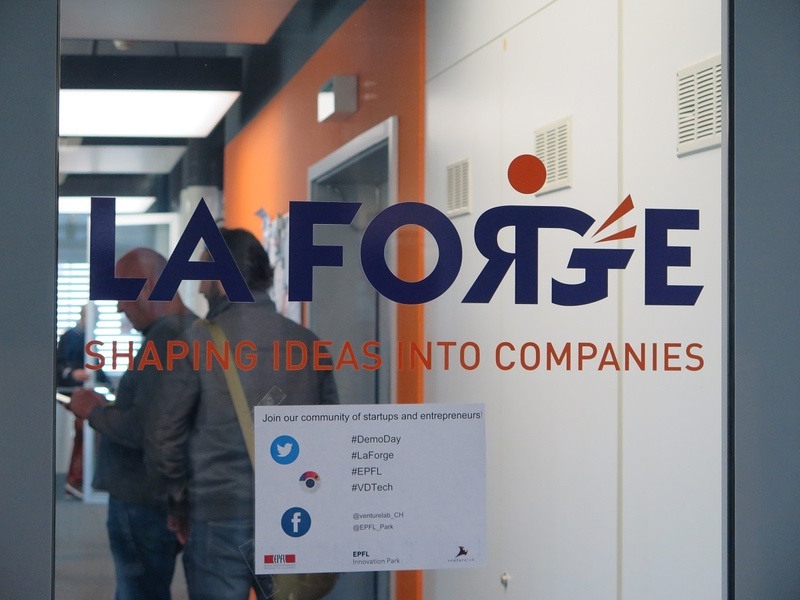 In 2013, EPFL Innovation Park opened a coworking space for early stage startups: La Forge. Access to it is selective and you need to apply to get in. However, you get a regular coaching by experienced entrepreneurs and coaches, from EPFL Innovation Park and venturelab. La Forge starts to have a good track record with alumni startups like Flyability or Monito. I also had the chance to be hosted at La Forge as one of the first member (alongside with PrYv), with my own company, Coteries. That was a great opportunity to develop long-lasting relations with our fellow entrepreneurs, and getting to know other newcomers! Twice a year, La Forge is organizing a Demo Day, where you can attend pitching sessions as well as getting demos from the entrepreneur directly within their workspace. Medical solution to solve bruxysm problems (like teeth grinding or clenching). Apety offers a new way to digitalise restaurants, and connecting them to busy lunchtime diners, by allowing them to book a table, invite their friends, pre-order their food while enjoying automatic payment after the lunch. Enabling ageing aware integration of energy storage devices. The one-stop-shop of recruitment for candidates and recruiters. BeeSolar offers a green & profitable investment by installing PV panels on residential buildings. BIGVU is a new way to create compelling videos for news, social, education, corporate or content marketing. Online Marketplace for Mortgage Loans. Flooss uses financial data and machine learning technology to help SME’s master their everyday financial tasks – simple, efficient, and reliable data-driven accounting. L2F positions itself as a lean, data driven and performance-enhancement task force. SaaS platform that will help companies create graphic design with the help of artificial intelligence. Reveal insights from satellite and aerial imagery. EzPlan – a new media platform for software aided surgical planning. Tayo reinvents the way tenants interact with real-estate agencies and property managers. Wanago is the first ever crowdfunding platform for van and motorhome acquisition.